On this important occasion, representatives of Member States, UN entities, and civil society and non-governmental organizations (NGOs) from all regions of the world gathered to discuss the progress leading to the commemoration of the Beijing Declaration and Platform for Action, the 20th anniversary of the adoption of the Security Council Resolution 1325 and the 5-year Review of the 2030 Agenda, converging in 2020. 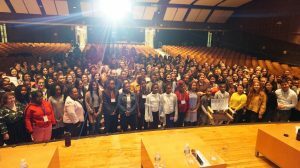 This event, as the biggest intergovernmental body for gender equality, was a key space for young people to raise their voices to challenge the structural barriers that they face. 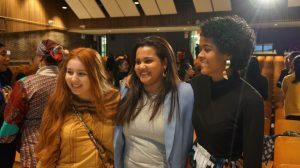 It provides a space for intergenerational and intersectional conversations, best practice exchange and networking for young gender advocates from all over the world. To ensure the amplification of these voices, the UN Secretary-General’s Envoy on Youth, Jayathma Wickramanayake, engaged in the activities of the CSW63 Youth Dialogue. Here you will find some of the key highlights. 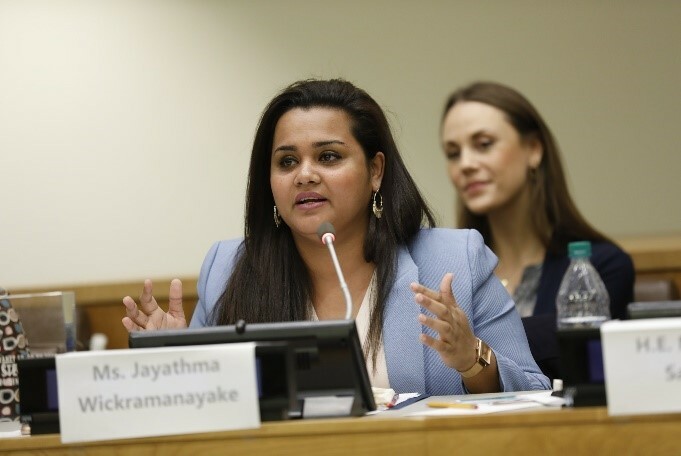 On Saturday 9 March, Jayathma gave the introductory remarks and participated as the moderator in the opening panel of the Pre-CSW Youth Dialogue; an open space for youth activists to voice their opinions and discuss strategies to influence the CSWdiscussions. The opening panel of the Pre-CSW Youth Dialogue saw the participation of Deputy Secretary-General, Ms. Amina Mohammed; Dr. Phumzile Mlambo-Ngcuka, Executive Director of UN Women; Mr. Dereje Wordofa, Deputy Executive Director of Programme of UNFPA; Mr. Vinicius Pinheiro, Special Representative to the United Nations and Director of ILO-New York; Ms. Lucia Ruvarashe Ndanga, young activist from WAGGGs Zimbabwe; Ms. Gharsanay Ibnul Amen, Young Activist from Afghanistan; and Rad Pereira, young Brazilian artivist. Through a workshop modality, the participants validated a set of common minimum standards (available here) that will act as guidelines to policy makers to ensure that social protection systems, public services and sustainable infrastructure address their particular needs. This set of common minimum standards was presented to policy makers to facilitate the legitimate inclusion of young people, within the broader CSW63 discussions and negotiations. Girls Scouts and the Working Group on Girls, World Association of Girl Guides and Girl Scouts, International Association of Students in Economics and Management, World Young Men’s Christian Association, Association for Women’s Rights in Development, WE, Restless Development, MenEngage Alliance, CHOICE for Youth, ACT Alliance, Rozaria Memorial Trust, FRIDA, Soul City Institute of Social Justice, Plan International, African Women Leadership Network, Afrika Youth Movement, Mexico Women with Disability Movement, the Young Feminist Caucus and the youth delegates, were some of the youth-led and youth-serving organizations that engaged actively in the organization of this event. 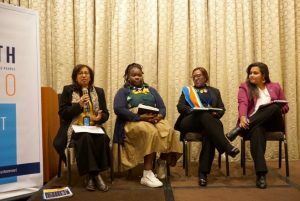 During the meeting the delegates and the Youth Envoy – a former youth delegate herself – discussed strategies to influence delegations and contribute with qualified inputs from the Common Minimum Standards towards the CSW63 agreed conclusions. 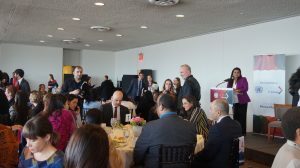 On Tuesday 12 March, the Envoy on Youth served as the moderator at the high-level luncheon on Women in Power, which was hosted by the President of the General Assembly and the Permanent Mission of the State of Qatar. In this meeting, a panel of young women leaders came together to talk about how to achieve women’s equal participation and leadership in all spheres of life, while re-assuring its importance to meet the challenges of the twenty-first century. The room was filled with Ministers, senior leaders from governments, the UN system and youth activist and entrepreneurs who were all eager to engage, which contributed to a dynamic and lively discussion. 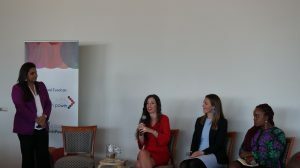 Some of the topics discussed by the panelists included challenges that women face in the workplace – such as maternity leave, – and how world leaders can ensure that typically less “female friendly” industries like technology and innovation can support gender equality. For instance, investing in teacher training, increasing access to technology, mentorships, and recognizing young female community leaders are concrete measure to ensure more women in leadership positions in the future. The event counted with the participation of Victoria Alonsoperez, an Electronics, Telecommunication, and Electrical Engineer, Entrepreneur, Inventor, and United Nations Young Leader for the Sustainable Development Goals; Emma Camp, a multi-awarded Researcher Fellow at the University of Technology Sydney (UTS), National Geographic Explorer and United Nations Young Leader for the Sustainable Development Goals; Jennifer Uchendu, a sustainability communicator, analyst, and founder of SustyVibes, a social enterprise making sustainability actionable for young people through projects, products and policies; and Linda Liukas, Forbes’ top-50 most powerful women in tech Europe, author and illustrator of Hello Ruby, a picture book series on code, computers, networks and AI translated into 25 languages. Following the luncheon on Women in Power, Jayathma served as a panelist in the side event #OurStreetsToo Listen to girls’ voices, which she co-hosted together with the World Association of Girl Guides and Girl Scouts (WAGGGS). During this event, WAGGGS Youth Delegates made a moving performance to create awareness about the multiple implications of street harassment. 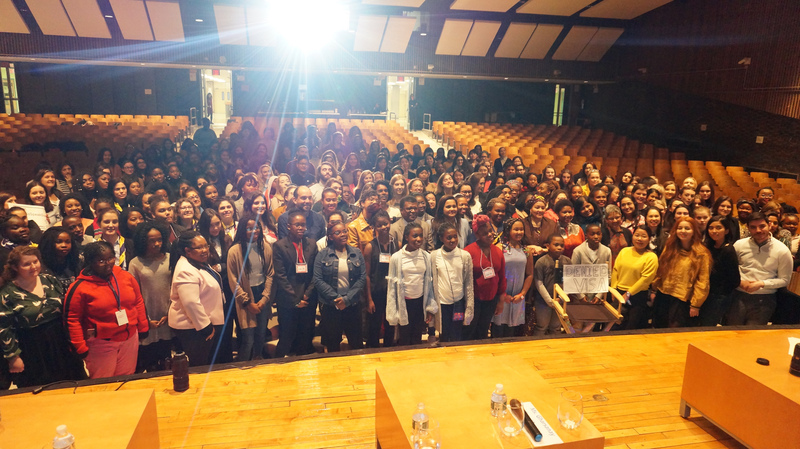 Through personal stories, the participants led the hall to a deep immersion in street harassment experiences that took place in their home countries. This opened a space for reflection to start the discussions of the panel. Through a “talk show” format, Jayathma, along with Roseline Souebele Mayinga, WAGGGS Youth delegate and Advocacy Champion; Purna Sen, Spokesperson on Addressing Sexual Harassment and Other Forms of Discrimination for UN Women; and Keketso Maema, CEO of the Commission for Gender Equality in South Africa, discussed personal experiences and shared their recommendations for preventative measures and practical steps to be taken towards ensuring safe streets for all. On Wednesday 14 March, youth events of the week culminated in a high-level intergenerational dialogue, where participants – including the Youth Envoy – were invited to take the “hot seat” and respond to questions relevant to the CSW theme posed by youth participants in the room. Besides Jayathma herself, a number of speakers took the ‘hot seat’, including Ms. Marta Lucia Ramirez, Vice-President of Colombia; Ms. Nadine Gasman, Head of the National Institute for Women of Mexico; Adriana Salvatierra, President of Senate of Bolivia; Ms. Phumzile Mlambo-Ngcuka, Executive Director of UN Women; and Ms. Gunilla Carlsson, Deputy Executive Director of UNAIDs. H.E. Ms. Geraldine Byrne Nason, Chair of CSW and Permanent Representative of Ireland, was also in attendance. 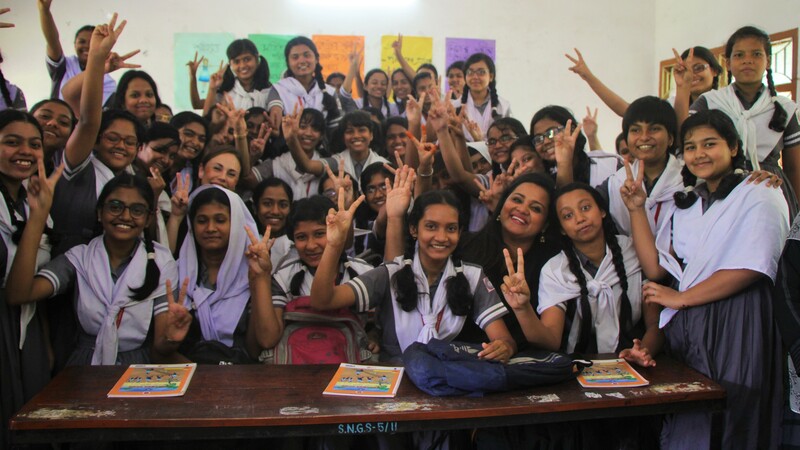 In her introductory remarks as Chair of CSW, Ms. Nason committed that she would speak to minimum standards, and to ask governments to “read them and heed them.” Today she announced that she has already delivered on her commitment and encouraged all the young people in the room to follow-up with their governments and do the same. 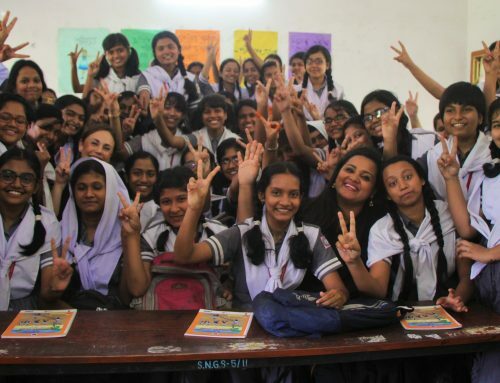 This intergenerational youth dialogue provided a critical platform where young CSW participants could discuss the Common Minimum Standards and its action-oriented recommendations, with policy makers, civil society and youth organizations to ensure the effective delivery of social protection, public services and sustainable infrastructure to young women and girls.